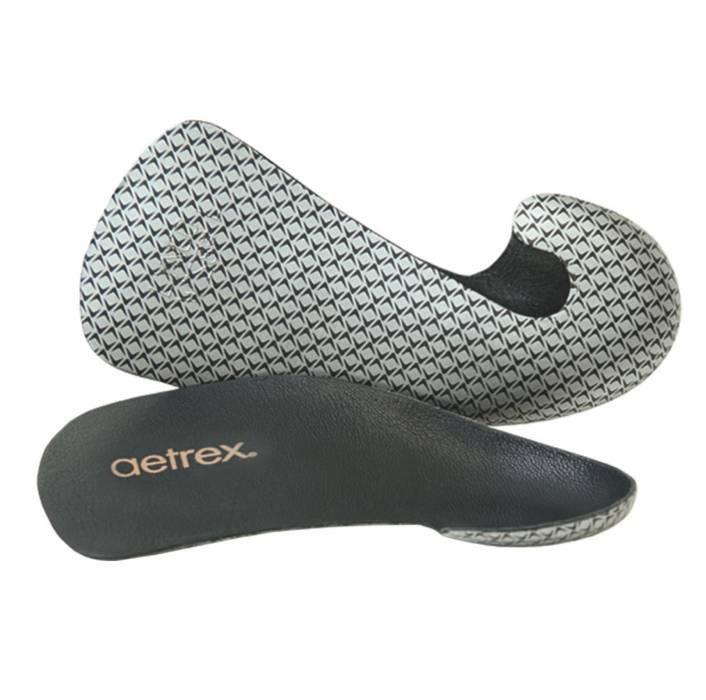 The Aetrex Lynco L100 fashion orthotic for women helps provide much needed comfort and support for your favorite fashion footwear. Don’t be afraid to break out the heels anymore! This innovative 3/4 length orthotic relieves pressure and aids proper body alignment with metatarsal support. The Aetrex Lynco L100 fashion orthotic for women helps provide much needed comfort and support for your favorite fashion footwear. These innovative orthotics are flexible, ultra light-weight and designed for support and pressure relief. The unique Cobra shape and built-in Lynco support comfortably balances your feet and helps provide proper body alignment. Made from soft, breathable full grain leathers and state-of-the-art thermoplastic urethanes. The flexibility of the women’s Aetrex Lynco L100 allows formation to most dress shoes, flat or high. Recommended by doctors and pedorthists worldwide, Lynco® is recognized as the #1 orthotic system on the market today. Millions of pairs have been sold to consumers seeking the quality and support of custom-made orthotics at an over-the-counter price. Lynco orthotics are available in a variety of styles to provide you with a custom selected solution based on your specific foot type and footwear style. Options include metatarsal support to provide additional protection at the ball-of-the-foot and medial posting to gently realign the rearfoot and control over-pronation. Join the millions throughout the world who now recognize that Lynco orthotics provide the easiest and most effective way to achieve maximum comfort and improved footwear performance.